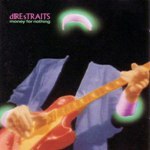 A broadcast watchdog has tempered a ruling that deemed the Dire Straits hit Money for Nothing unfit for radio, saying that while the homophobic slur in the song is inappropriate, it must be taken in context and that individual radio stations can decide what their listeners want to hear. The regional Atlantic panel of the council ruled that the song contravened the human rights clauses of the Canadian Association of Broadcasters’ Code of Ethics and Equitable Portrayal Code. When a public backlash ensued, the CRTC asked the council to review its decision. On Wednesday, the council released that review and said the original decision was correct in deeming the song inappropriate. But it added that the context of Money for Nothing must be taken into consideration. “The (council) wishes to make perfectly clear to those persons who have commended the CBSC for its ‘brave’ position regarding the disapproval of the hateful and painful term that it is not abandoning that position,” the decision states. The song’s writer, Mark Knopfler, has said that he was writing from the perspective of a “bonehead” whom he observed in a hardware store watching MTV, and reacting with disgust to what he saw. The majority of the council’s panel thus felt the song used the word satirically and not in a hateful manner. But in its decision, the council also noted that alternate versions of the song are available and suggested broadcasters choose which to play based on the sensitivity of listeners. The public outcry did play a role in the revised decision — primarily because it brought the context of the song to the council’s attention, said the organization’s national chair, Ron Cohen. RIM, the Waterloo Ontario Company, officially launched its new music subscription service today called BBM Music. It will cost $(US) 4.99 a month and give users of Blackberry devices access to stream, store and store locally up to 50 songs, at least initially. You will be able to change up to 50% of the songs on your list each month. RIM says the new service will allow you to discover the songs your friends are listening to as well, and you will be able to combine your songs and those of your friends to build a playlist. You will also be able to send songs or playlists to friends so they can see what you are listening to, and they can choose to listen to your selections at any time. The service is being rolled out in Canada, the USA and Great Britain today (August 25), and will be available in other countries later this year. You can sign up for the service here. Coming to a car near you, within in the next 12 months, will be built in internet radio according to an article published in Consumer Electronics Magazine. They are predicting a wave of in vehicle apps that will be integrated directly into your car by the manufacturer. Cloud based content seems to be the buzz word being used by a number of the automotive experts who predict that the next few years will see a dramatic increase in the use of in-vehicle apps. Some will be built right into the car while others will be connected via mobile devices such as smart phones providing the consumer with a range of entertainment, information and services such as diagnostics and navigation. So if you want to find the closest sushi restaurant using a verbal command will result in a map displaying on the heads-up display. If you accept the option the cars navigation system will supply turn by turn directions to this location. This is seen as just the first step which could result in your being able to browse the menu and select the foods arrives at your table at the same time you do. There are about 50 cars offered for sale in North America currently or will be offered in 2012 equipped with some form of internet radio app including BMW, Mercedes-Benz, Ford, Lincon, Scion, Buick, Hyundia and Chevrolet. Several cell phone providers in Canada including Rogers, Telus and Bell are, as of today, offering the iPhone 4 for $99 on a three year contract. This could be a game changer in the competitive cell phone handset space whic is already very competitive with Apple dominating market share and quickly pulling away from Blackberry and Android. Some are predicting that thousands of iPhone 4’s will be sold in the next few weeks as students go back to school and university armed with the latest must have toys. Apple look to be unloading their stock of iPhones 4’s ahead of the release of the iPhone 5 which is now expected to be either Friday October 7th or 14th. If this is the case you will be able to order the iPhone 5 from Apple as early as the end of September. At $99 for a new iPhone 4 this instantly makes this handset more attractive to a wider range of cell phone users, and no doubt many will update to the iPhone 4 to get access to all the tools that come with this device. For radio stations this makes an iPhone app even more important, given that an even greater percentage of your audience will now have an iPhone and the ability to listen to your audio stream and interact with your station directly from their iPhone. That is of course providing you have an app. If you do not have an iPhone app for your radio station then call our office and we can help you get one built. Scott Fox will soon be heard back on the air in Toronto again as of August 29th. This time he will be on Kiss 92.5 doing 9a-2p Mon-Fri while Taylor Kaye is on maternity leave. He will also continue on CHYM 96.7 in Kitchener on weekends. 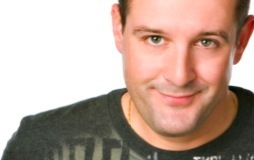 “Scott makes the switch to KiSS after 10 years of hosting the Z103.5 morning show with another great KiSS 92.5 personality, Dave Blezard” says PD Karen Steele. Ofcom’s second annual Digital Radio Report has been published in Britain, showing just over a quarter (26.5%) of all radio listening hours were to services delivered over a digital platform. This is a 2.5% increase in digital listening over the year and an 8.7% increase over the past three years. 63% of digital listeners hear digital radio on a DAB radio set, while 15% listen through digital tv sets and 14% listen on the internet. Digital listening is now over one million listeners per week in the UK. Read more about this report here. Aug 1-31 “Win With Civility Month”: When we are civil to each other we confirm our worth and acknowledge the worth of others. Call Thomas Danaher 702-384-7376, email thomasdanaher04@yahoo.com..
Aug 5-7 “Twins Day Festival”: Twinsburg, OH. This is the world’s largest gathering of twins. 33rd festival. Call 330-425-3652. email info@twinsdays.org. web: www.twinsdays.org. Aug 7 “Sisters Day”: Celebrating the spirit of sisterhood. May include biological sisters, sorority sisters, sisterly friends, etc. Call Tricia Eleogram 901-681-2145. email Eleogram@aol.com. .
Aug 1 “Civic Holiday”: The first Monday in August is observed as a holiday in seven of Canada’s 10 provinces (Manitoba, New Brunswick, Northwest Territories, Ontario, Saskatchewan have Civic Holiday. It is called British Columbia Day in BC and Heritage Day in Alberta). Aug 1-5 “Psychic Week”: Either invite a local psychic into the control room and have some fun on the air, or phone a different psychic each day “live on the air” and when they don’t answer saying “Hi [insert your name and your station name]”, hang up on them as they can’t be very good. After all, shouldn’t they know who it is? Aug 4-7 “Edmonton Folk Music Festival”: Gallagher Park, Edmonton, AB. Folk music and fun for the entire family. Call 780-429-1899. email fadmin@efmf.ab.ca. web: www.edmontonfolkfest.org. Aug 12-14 “Abbotsford International Airshow”: 47th annual. Leading air show in North America attracts the world’s top aeronautical performers. Email info@abbotsfordairshow.com or see www.abbotsfordairshow.com. Aug 4-14 “Halifax International Busker Festival”: Halifax, NS. Street performers and artists from around the world, vaudeville nights and entertainment tent. Call 902-429-1068. email jessica@espproductions.ca. Aug 14-19 “Weird Contest Week”: It happens in Ocean City, New Jersey. Artistic pie eating, French fry sculpting, wet t-shirt throwing and more. They have a different contest daily, so call Mark Soifer, the PR Director of Ocean City at 609-525-9300, or email msoifer@hotmail.com for some great stories. I’ve been watching with profound fascination the still unfolding story regarding the phone-hacking scandal that’s befallen part of Rupert Murdoch’s News Corp. in the UK. I’m assuming you are aware of this scandal, but if not, let me give you a quick rundown. Nine years ago, someone working at Murdoch’s UK tabloid, the News of the World, had allegedly hacked into the cell phone of a murdered girl. In addition to listening to her voice messages, they also erased them and thus gave the girl’s family and the police false hope that she was still alive. Reprehensible? Yes. A singular case? Not in the least. Many more alleged phone-hacking instances have since been brought to light, including: victims of the London 7/7 terrorist bombings in 2005; families of deceased British soldiers; numerous celebrities and politicians; and even members of the Royal Family. Police bribery has also been alleged, which may have been widespread. To try and stem the tide and protect the rest of his media empire, Rupert Murdoch shut down the News of the World (the UK’s largest selling newspaper) after 168 years of existence. Then the arrests and resignations began. High profile arrests include a former editor of the paper who at one time had also been Prime Minister David Cameron’s Director of Communications; the CEO of News International (a subsidiary of Murdoch’s News Corp.), a former executive editor at the paper, and other individuals alleged to have been participating in the illicit activity. Resignations have included two of Britain’s most senior police officers and assorted other News International executives. Cameron had to cut short a trip to South Africa to attend a special sitting of Parliament to not only lay out the measures the government plans to introduce to deal with the scandal, but to also answer questions regarding his judgment in hiring a former News of the World editor that had been forced to resign over a previous phone-hacking scandal. The affair has now crossed the Atlantic. News Corp. is an American-based company, and therefore subject to US law. The FBI has launched an investigation into whether the company’s actions in the UK violated the Foreign Corrupt Practices Act. They are also looking into allegations of hacking into voice messages from 9/11 victims. The US Department of Justice has opened its own investigation. The back story to this is the powerful force Rupert Murdoch has been in British politics for decades. He has been able to exert tremendous control over the political agenda through his media holdings and can rightly be said to have played kingmaker. It’s even been tossed around that British politicians have lived in fear of the man, so if you sense they see their opportunity to throw off the yoke, you would be correct. Murdoch has not held as much direct sway over American politics, but there is little doubt he has played a significant role in shaping American politics through his Fox News Channel and its president, Roger Ailes. Mr. Ailes was a media consultant for Nixon, Reagan, and Bush Sr. I think it’s safe to say he’s a Republican. Fox News has pushed a staunchly conservative agenda since its creation and this, along with the Rush Limbaughs of the world, are largely responsible for the deepening divisiveness we’ve witnessed in American politics. Personally, I’m okay with news entities or talk radio hosts presenting stories and topics from either a right or left standpoint, but Fox News and certainly Limbaugh play fast and loose with the facts as a matter of course and it’s that which does cause me concern. By calling themselves “Fair and Balanced”, Fox elevated cynicism to the level of art form. Regardless, though, whether you love or hate them, you have to at least acknowledge Murdoch’s, Ailes’, and Limbaugh’s abilities and success. Please don’t think Canada is immune to media bias. We have both right and left leaning papers in this country – that’s a defining factor in print media. The CBC has always been viewed as being a liberal institution. Talk radio wouldn’t exist if hosts didn’t take a particular side on an issue – where’s the fun in arguing with someone who always sees your point? Sun TV (or Fox News North as it has been dubbed by naysayers) is now here. Sure, it’s been met with a collective ‘meh’, but these are early days. Give it some time and let’s see what becomes of it. But Canadian media, in general, is far more restrained than its UK or US counterparts. Laws have been broken here at times, too, and facts have been misrepresented, but there is nothing approaching the vulture-culture that exists in the Fleet Street tabloids. This brings us to the question of the media’s role in a democratic society. At what point do we cross the line from observing/commenting to exerting/manipulating? This is a timely given that the CRTC is currently struggling with the question of vertical integration in our domestic, private media. Is it proper for a company to control both the programming and distribution of media? Or, put more simply, how big should we allow such companies to become? This isn’t even taking into consideration the new media question that governments globally are wrestling with. The media is not tasked with controlling the agenda – plain and simple. To do so goes against the intended role of a free media (free ‘press’ is an antiquated term). In a democracy, the media is vital in maintaining as much transparency in government and society as a whole as possible. It is a watchdog. Increasingly, though, some media has morphed from that traditional function into an area that is far less objective and in extreme cases simple entertainment under the guise of news. Again, this is much less prevalent in Canada, but the public’s attention span in today’s ‘twitterverse’ is causing all media, everywhere, to adapt to a news cycle that is fluid well beyond the imaging of even a couple decades ago. As such, we find ourselves being treated to “breaking” news stories that lack the proper fact-checking that once was a modus operandi, but increasingly is becoming luxury. This is an unfortunate, but natural competitive result in the new media environment, which can be largely forgiven. Provided they can eventually correct this problem, of course. What can’t be forgiven is the deliberate misrepresentation of facts. Hopefully, that type of journalism will be curtailed as a result of this present scandal. So, go ahead and let your compelling news reader do their commentary. It’s great radio. Go ahead and read the Ed/Op-Ed pages. They are often the most interesting part of the paper. Just don’t lose touch with the basic ethics and important social responsibility you have to keep people properly and honestly informed.